Not to be confused with the star-studded musical series Chesterfield Supper Club, The Chesterfield Show (also called The Moonlight Serenade) and features "the number one dance band with the number one swing trio." The number one dance band is Glenn Miller Orchestra and the number one swing trio Andrew Sisters. Songs featured in The Chesterfield Show include The Rug Cutter's Swing, The Woodpecker Song, and a special Christmas Program. There's nothing like a smooth smoke with smooth orchestra music by Glenn Miller. The Chesterfield Show makes you want to tap your toes in their shoes and tap your cigarette into the ash tray. So "take time to relax and light-up a Chesterfield" to this fine old time radio music program. 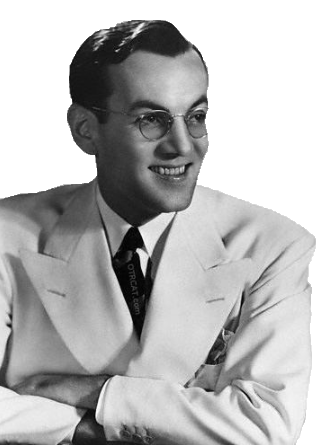 For more rare Glenn Miller broadcasts, see also: Band of the AAF Training Command. Be the first to comment on "Chesterfield Show (Moonlight Serenade)"